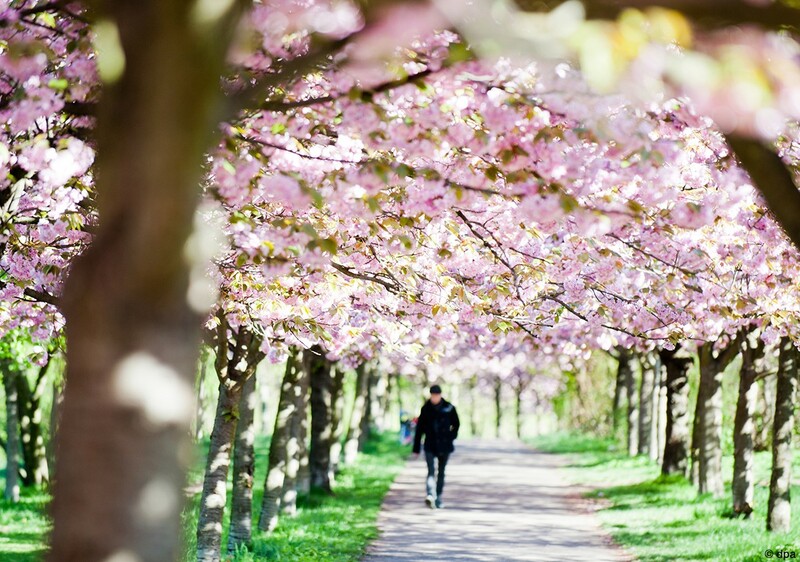 Have you heard of Easter Bouquets, Easter bonfires or Goethe’s Easter Walk? 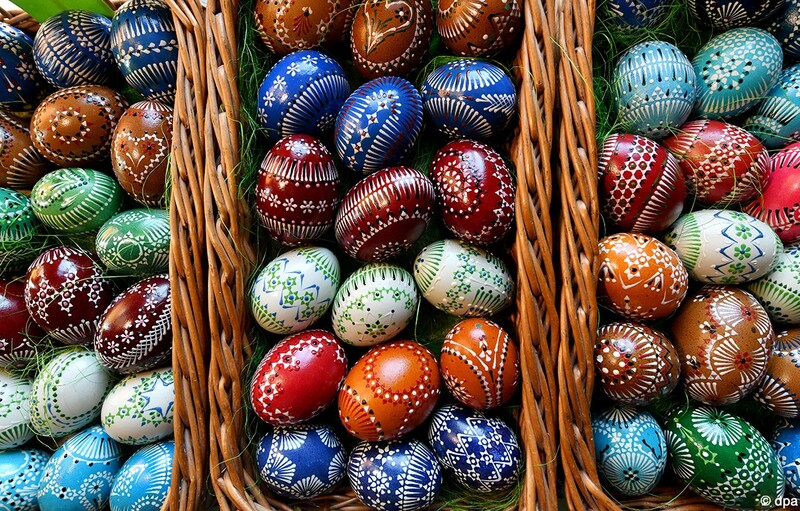 Besides the well-known traditions of Easter egg hunts and the Easter bunny, Germany has numerous historic Easter traditions and customs. 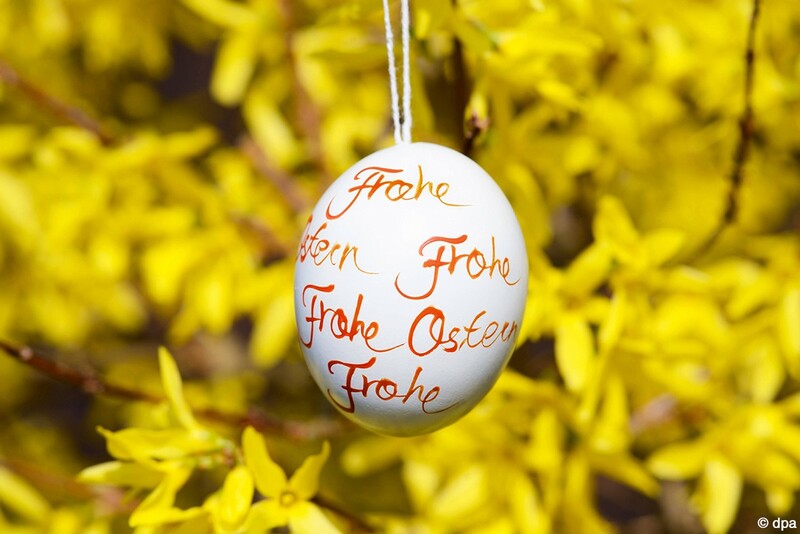 Here you can find out more about what makes Easter in Germany so special. 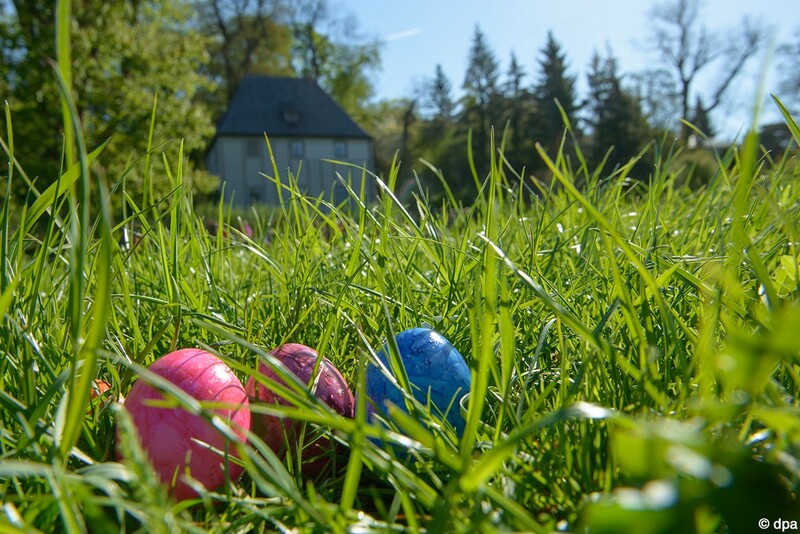 The Easter Egg Hunt is a longstanding German Easter Sunday tradition, in which German children search for hard-boiled coloured eggs, chocolate bunnies, mini eggs or nests filled with the latter. In some parts of Germany, children collect moss and flowers in the forest on Good Friday and build Easter nests in their gardens. On Easter Sunday, parents hide eggs or sweets in the nests. Some families hide the eggs in parks where the children can then ‘hunt’ for them whilst on a family walk. Small children are told that the ‘Osterhase’ (Easter Bunny) hides the colourful eggs, with siblings often competing to find the most eggs. In almost every household the Easter Bouquet can be found in the beginning of spring. It usually consists of branches with blossoms or fresh sprouts, catkins and forsythias are amongst the most popular types. Usually the branches are cut on Holy Thursday and are put into a vase until Easter Sunday. The branches are decorated with hollowed eggshells. Parents paint and decorate the eggshells with their children several days before Easter. The blooming and sprouting branches are a wonderful symbol of the re-awakening of nature in spring. On Easter Sunday, German families traditionally come together for a big Easter brunch. A variety of buns and spreads are served, and painted boiled eggs are a must. In many families children help painting the eggs and decorate them with patterns, such as bunnies or flowers. Another traditional part of the Easter brunch are pastries made from yeast dough. 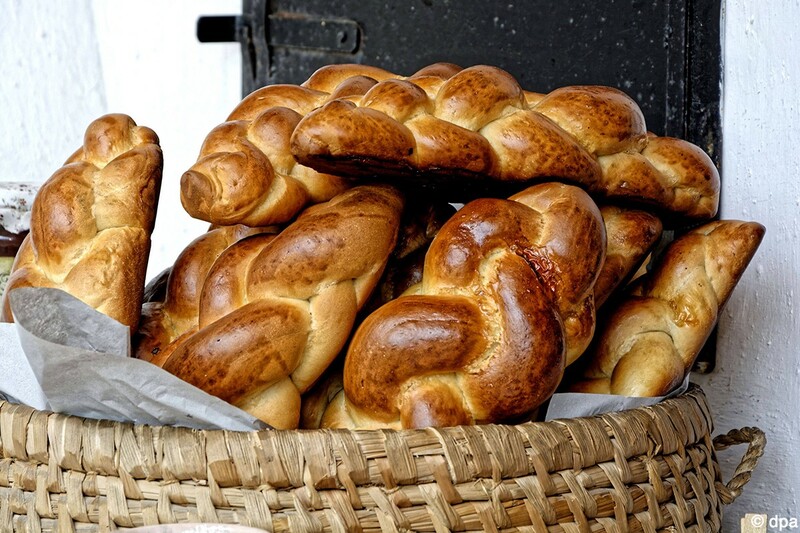 Many Germans prepare a “Hefezopf” (literally: yeast braid) at home, which is a golden brown braided yeast bread. Alternatively they bake a big round pastry called “Osterkranz” (Easter wreath) that can be stuffed with nuts and dried fruits. These tasty Easter treats are usually eaten with butter or jam. Due to their white fur, lambs symbolise life, peaceful living and purity. 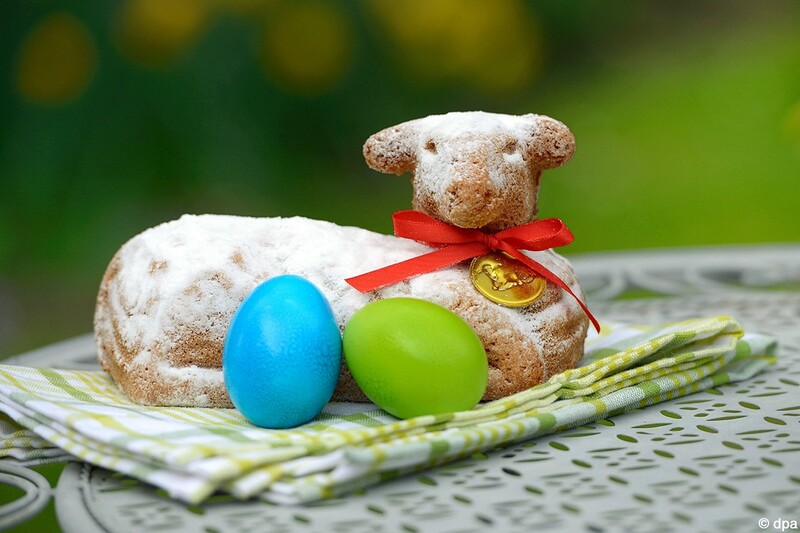 In some parts of Germany, a lamb shaped cake decorated with chocolates and icing powder can be found on dinner tables during Easter. “Zufrieden jauchzet Groß und Klein: Hier bin ich Mensch, hier darf ich’s sein!” (Contented, great and small shout joyfully: here I’m Man, here dare be one!). Germany’s most popular Easter poem “Outside of the Gate” by Johann Wolfgang von Goethe, describes the joyful feelings people have, when the cold winter days are gone and the first rays of spring sunshine provide the perfect setting for an Easter-walk together with the family or close friends. In the night from Saturday to Easter Sunday, branches and twigs are piled up to make an enormous bonfire. Originally an ancient Germanic rite, the Easter fire was incorporated into Christianity, symbolically dispelling of spirits, brushing aside the last traces of winter and heralding spring, life and birth. 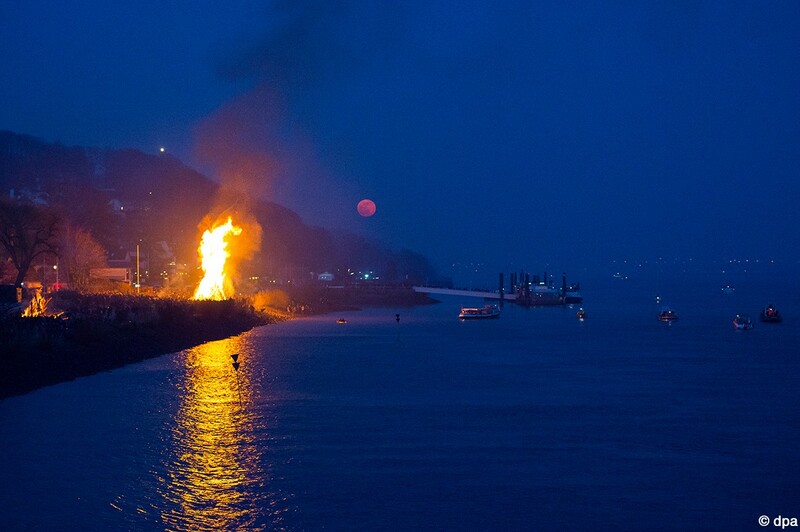 This tradition is particularly poignant in the smaller towns of Northern Germany, where the Easter fire serves as a festive get-together for young and old. Discover Germany’s cities, regions, culture and more.